I always find something or the other while patrolling a particular habitat. Somehow, luck brings about that coordination, giving me an edge over others when it comes to treasure hunting. Unlike me, if luck doesnât favor you, then bring home these metal-detecting sandals and see the difference. 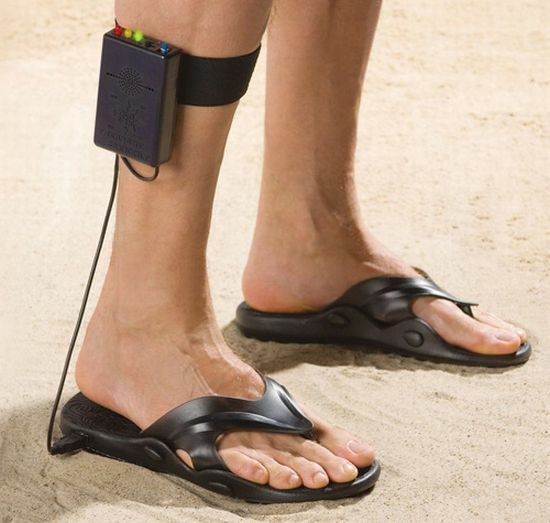 Selling for $59.95, these sandals can detect metal objects buried as deep as 2 feet underground. It has a copper coil built into the right sandal, which is powered by a battery pack that straps to your calf. So whenever you walk on some buried artifact, the battery will flash a red light, a gentle vibration and an audible buzz (depends on the setting), notifying the wearer that something is there that calls for some digging.